Apple introduced a new ebook reader application called iBooks in iOS 4.0. The iBooks app works in iPhone 4, 3G S, iPod Touch 4G, iPad and all other compatible iOS devices. It has a more user friendly interface than traditional iOS ebook apps like Stanza, Kindle, etc., and it comes with a real book like transition effects, inbuilt dictionary, fast scrolling and lots more features. Similar to the Amazon Kindle and the Sony Reader, the default format for ebooks in an iBooks library is ePUB, but it also supports PDF formats. The visual transitions and the inbuilt dictionary check facility in iBooks works only with books in the ePUB format. Other document formats like DOC, DOCX, RTF, TFT should be converted to the ePUB or at least PDF to get them work on iBooks for iPhone, iPad or iPod Touch. 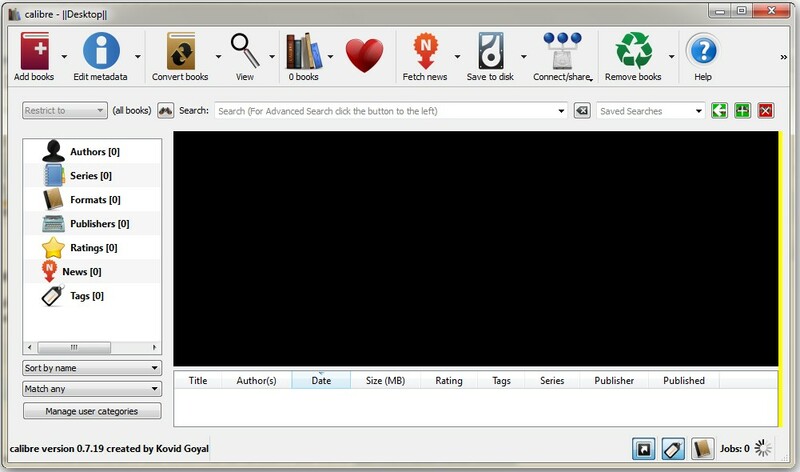 Calibre is a multi-platform, open-source ebook management and converter software. Calibre works in Windows, Linux, Mac OS and its compatible with almost all ebook readers and mobile applications available in the market. It supports automatic syncing of converted ebooks in iPhone, iPod, Sony Reader. 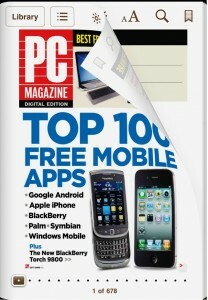 Amazon Kindle, Android phones and others. Calibre supports the conversion of CBZ, CBR, CBC, CHM, EPUB, FB2, HTML, LIT, LRF, MOBI, ODT, PDF, PRC, PDB, PML, RB, RTF, TCR, TXT to EPUB, FB2, OEB, LIT, LRF, MOBI, PDB, PML, RB, PDF, TCR, TXT formats. There is also an option to convert online news feeds to ebook and sync them to the selected device. Calibre doesn’t support Microsoft Word formats like DOC and DOCX. 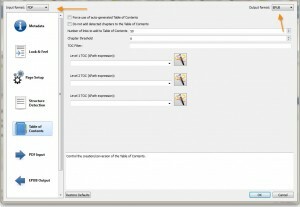 So we need to convert the DOC format to PDF or any other supported format before starting with ePUB conversion. Here I am using a freeware called Bullzip PDF Printer. Download Bullzip PDF printer here. 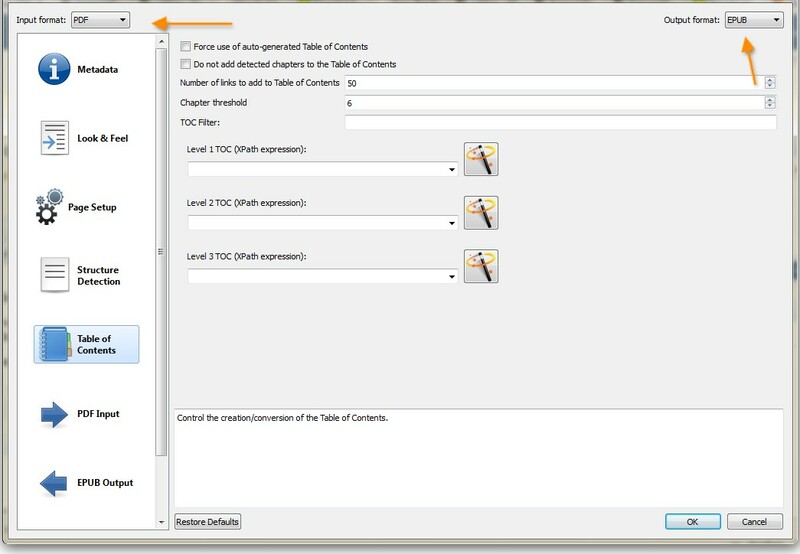 After conversion, add the PDF ebook to Calibre using the add the tab. You can edit the ebook meta information from the second tab, where it’s possible to get a thumbnail image for the document if the ISBN number is known. Details like title, author, publisher, rating, tags all can be edited from this section. The third tab you convert PDF to ePUB or any other supported format. As shown in the screenshot, you can set up the look& feel, page orientation, structure and the other PDF-ePUB properties from this page. After setting the requirements, click OK and start the conversion. The ebook in the ePUB format will be saved to the directory specified during instillation. You can also sync the ebook to your iPhone, iPod Touch or iPad using the fourth tab, Send To Device. I have transferred a converted PDF document to the iBo0ks ePUB library, shown below. You all might know the Stanza ebook reader application for iPhone, iPod Touch and iPad. Their Stanza desktop app for Windows and Mac OS can also be used conversion of RTF, TXT and other simple document formats to ePUB. Stanza for desktop is available for download here.